Fall’s just around the corner and believe it or not, it’s time to tune up your furnace. And through August for just $69 we’ll perform a full tune up service on your furnace. First we check your filter. A clean filter is a must. It will help prevent your furnace from overheating which causes excessive wear on the heat exchanger and safety switches. We check for carbon monoxide (CO). A properly vented furnace will emit the CO to the outside. 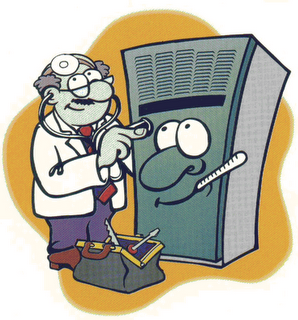 If a furnace heat exchanger is cracked or if there’s a venting problem CO can enter the home. This is a dangerous situation. We recommend that every home has at least two permanently installed Carbon Monoxide Alarms. Clean the flame sensor and check the sensor “flame rectification”. Flame rectification tells the furnace computer the burners are lit. If a flame rectifier does not sense the flame, it will shut the gas off. Check the blower motor amps. High amp draw is an early indication the motor is going bad. Oil the motor. Not all furnace blowers need oiling, but for those that do it’s included. Check the limit switch. A limit switch shuts off the furnace off if it gets too hot. Check for gas leaks. A simple electronic detection device is used to detect leaks in and around the furnace. A properly tuned furnace will also save on your gas bill. Beat the rush and schedule your tune up today. And if you’re thinking of replacing your furnace click here to learn more about what’s on the market, there’s not better time than now. Factory and Utility company rebates are now available! Call for a Free Estimate or Send a quote request by clicking here.